Own a little piece of Kauai—and have time set aside for a vacation year after year! 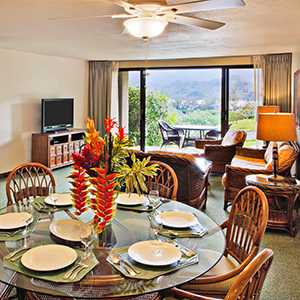 Hanalei Bay Resort is a vacation ownership property, and weeks are now available to make Hawaii your home away from home. You’ll also enjoy the benefits of being a Grand Pacific Resorts owner, including access to Grand Pacific Exchange for even more travel options. Already an owner? Give yourself extra time away or bring loved ones with you by buying another week. Contact Karla Bailey at (808) 821-8235 for more information.